, law enforcement, sporting events, and hunting. They are principally engineered as weapon scopes. However, a high performing thermal scope is supposed to function effectively as a handheld thermal imager or as a magnified spotting scope. Experts recommend thermal imaging scopes that have a simple design installed with instinctive features, functions, and controls. The list of product reviews provides you with useful buying information, and tips for future purchases. The focus of objective lens is an important consideration when shopping for a thermal scope. This is so since the focus affects a number of metrics, such as field of view and magnification. You should know that the quality of thermal imaging detection is established by the objective lens focus. In actual fact, different activities will require dissimilar objective lenses parameters. Usually, the scopes are fitted with a number of objective lenses that vary with respect to the focal distance, such as 50 mm, 38 mm, and 19 mm. This info is reflected in the name of thermal scope you choose. The effectiveness as well as magnification of thermal imaging scopes varies greatly, but you need to go for the ideal magnification power. The limits of your imaging scope are determined by your thermal scope’s optical power. The magnification power required by a deer hunter in the woods differs greatly from the optical power required by a bench rest shooter with a target at a thousand yard. There are merits and demerits to both low and high magnifications. With low optical power (4X / 6X) you get better target tracking and faster as well as more spontaneous shooting. On the other hand, higher optical power, including 16X+ offers exceptional target resolution. The main downsides to higher magnification thermal imaging scopes are: larger in size, very costly, and are challenging to use when assuming unsupported positions. Research and user opinions alike suggest that thermal scopes suitable for offhand shooting at shorter distances (500 yards) should have magnification equal or lower than 10X. You are strongly urged to go for scopes with more than 10X magnification if you will be shooting your target from a well-supported position, and be ready to pay more since they do not come cheap. The refresh rate of a thermal imaging scope determines its quality. A more intense image is produced with respect to the number of refreshes your thermal rifle scope can achieve. The higher the frame or refresh rate the smoother the image when tracking a target that is on the move. The most ideal thermal rifle scopes have a refresh rate of 50 Hz or 60Hz. You should always consider scopes that have a frame rate of 30Hz or higher. When it comes to resolution, you should go for the higher options. Like most graphic software, a low-resolution image is usually distorted. Normally, an image with unclear details may result into a miss shot. In actual fact, the target is basically unrecognizable. Professionally, a resolution of 1024 X 768 is ideal for a rifle mounted scope. However, the best options that are known to be effective include but are not limited to 384 X 288 and 336 X 256 resolutions. This is a simple, but a very important specification that helps you with target acquisition when using your thermal imaging scope. There are many reticles you can choose from, including the popular center dot to other unique and complex patterns. The three most recommended and used reticles are: duplex reticle, mil-dot reticle, and BDC reticle. Duplex is the most popular reticle, which is defined by a thin midpoint crosshair. The crosshair normally grows thicker away from the midpoint. The duplex reticle is suitable for target shooting and hunting. The mil-dot reticle is basically an improvement of the duplex, with strong enhancements. You will observe dot spacing at the reticle lines near the midpoint. The mil-dot reticle is highly useful for establishing a target’s range when the size of the target is known. Bullet drop compensator, which is abbreviated as BDC reticle is an emerging improvement as far as thermal imaging devices are concerned. With this particle reticle, you will not have to make any elevation settings adjustments so as to accurately shoot a target over wide-ranging target ranges. Generally, BDC reticles are better than simple duplex. The battery life is without a doubt an important factor that you can inadvertently overlook. You need a scope with a battery that will last longer. Go for a model that can last at least five hours of use. You do not need a scope that will go off when the hunt has just reached its climax. Remember, you are in the woods, and it will take you probably more than five hours to circle back. The aforementioned thermal imaging scope specifications are among the few that you cannot do without. However, there are other special specifications that you can check out when buying your product. Description: ATN 384 THOR HD is a smart thermal imaging rifle scope with state-of-the-art design. This device is installed with high quality thermal vision capabilities. It is the best thermal scope for surveillance and hunting. It offers you optical power of 1.25 – 5X and a resolution of 384 by 288. The focal length objective lens of this device is 19 mm. It is equipped with special features, such as 3D magnetometer, 3D accelerometer, 3D gyroscope, in-built Wi-Fi, and smooth zoom. One of the most advanced features of this scope is video recording. Unlike most scopes you will find on the market, this particle model offers a sharp color reticle each time you put it to use. The most cutting-edge thermal imaging scope: It features high quality thermal vision capabilities, and improved night vision technology convenient for surveillance and hunting. Video recording: The scope offers an exceptional color reticle each and every time you use it. 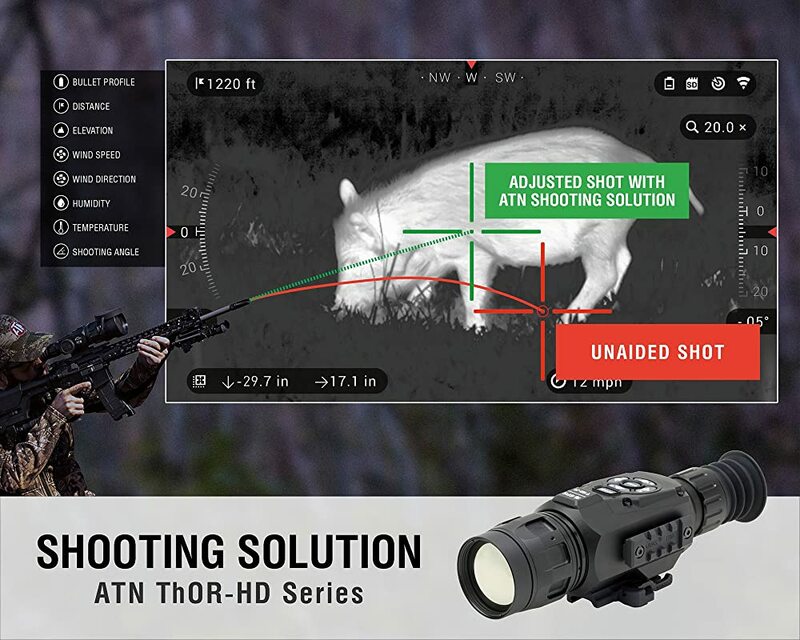 ATN THOR scope is targeting error free. More special features than you would have imagined, including smooth zoom, GPS for elevation & geo-tagging, and Wi-Fi streaming. The scope may require re-calibration each time you power it up. It is one of the most expensive thermal imaging scopes for a fixed budget. 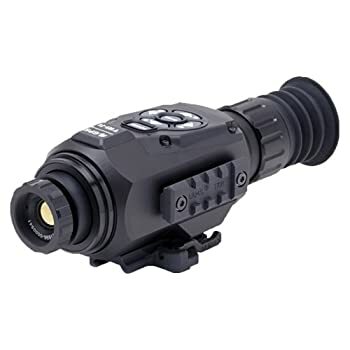 Description: The Pulsar Apex is the best thermal scope for a range of precision shooting activities, including law enforcement, surveillance, security, and hunting. It is installed with the ideal thermal resolution of 384 by 288. The long-drawn-out range of modification offers continuous digital zoom for long distance sighting. Apart from the up-to-the-minute resolution, the scope is equipped with the ideal refresh rate of 50 Hz. This refreshing rate offers a consistent as well as vibrant image of fast-moving targets. It offers the best thermal resolution of 384 by 288 for efficient image capturing up to one thousand four hundred yards. 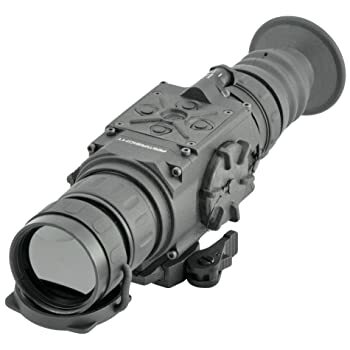 The unceasing digital zoom offers a comprehensive range of magnification for long-distance detection of a target. It is installed with a frame rate of 50 Hz and crispy LCD display, combined they provide you with a stable and clear image of fast-moving targets, especially when hunting. Focusing with this scope may be challenging after extended use. Description: Armasight Zeus is the best thermal scope for military, law enforcement, sporting, and hunting events. According to the design, the scope is definitely made for rifles. However, it is the ideal choice for a handheld imager as well as magnified spotting scope. It is the kind of scope that you can bring along on a 24/7 mission. Apart from its rigid structure, it is installed with state-of-the-art thermal imaging that picks up an image through haze, fog, smoke, dust, and snow. Generally, Armasight Zeus is equipped with all the special features a rigid thermal imaging scope should have. High performing thermal imaging scope and camera suitable for military, law enforcement, sporting, and hunting. Has an improved design that is lightweight, compact, and features a user interface that is easy and intuitive. 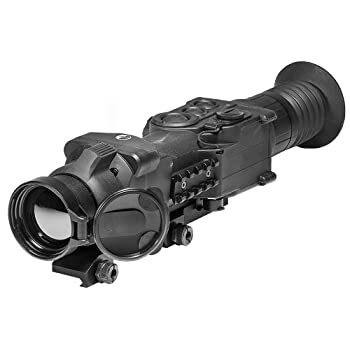 Equipped with digital E-zoom of 4X, 2X, and 1X along with six onboard reticle patterns (no reticle, crosshair, cross, cross-center dot, line dot, and dot 4 MOA) that are digitally controlled for a better image detection. Installed with numerous special features, which are worth paying for, including water/fog resistance and rapid start-up. The scope may stop performing if not handled with extreme care. It can also shut down and fail to power back on. Finding the best thermal rifle scope is not as easy. To get the best performance, you have no choice but to choose a device that is equipped with all the necessary features a good scope must have. The resolution has to be generous, and the optical power must be sufficient. Always keep in mind that a lower magnification and a smaller objective lens will restrict target acquisition and shooting to shorter distances. The choice you make must factor in all your aiming and shooting requirements. Ask anyone who has tried to hunt coyotes; the answer is always the same that the coyotes are quite elusive. It is not something that you can just turn up one day and decide to hunt it. The trick is to look for new techniques that would bring the coyotes close to where you are. This is where you get to buy and use the best coyote decoy and best coyote bait to lure the coyotes to your position. With these simple tricks, you should be in a position to bait the coyote and take the shot when it is in range. Think about the hassle you would go through trying to find a coyote in the hunting grounds or wilderness. If you stick to scouting, you can always be sure to take a longer time locating the coyotes. Well, with the introduction of new coyote hunting techniques and tools such as a coyote call, decoy, and bait, it should be easier for the hunter to have fun hunting. That said, it is not automatic that the coyotes will just come running when you use the decoy and baits; you have to narrow down to their location by scouting too. 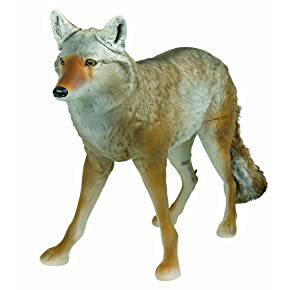 If you are going to buy a coyote decoy, the realistic look between the decoy and the real coyote should be resounding. It can evidently be a problem to attract the coyotes if the decoy is nothing close to a real one. If you are a hunter, I am sure you know how a coyote looks. The next time you are looking for the best decoy, make sure you factor in the idea of ending up with a model that just looks like it. Whenever a coyote is far and sees a realistic decoy, it can easily start running towards it. Portability is always a crucial part of using the best coyote decoy. You would want to be sure that the coyote can easily be moved from one location to another. Depending on the design, it is possible to have an easy or hard time transporting the different models of decoys from one place to another. Some decoys would have parts that are easily removable to aid with the whole transportation process. Even when you get a model that has a great portability, the setup and dismantling process also matters. Not many people would want to end up with a model that would take them a lot of time to mount or dismount. The best part is that many manufacturers today are creating decoys that are faster to set up. You would simply have to attach a few parts together and you have the best decoy standing in front of you. 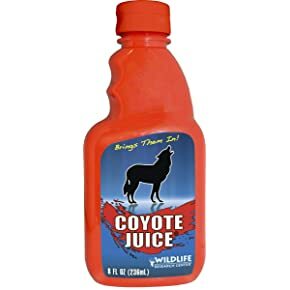 The coyote bait would often be in the form of urine. It is crucial that the urine smells as expected or else you would not get any coyotes coming closer to such a spot. The scent other than smelling like coyote urine, it has to be long range. The long-range smell would get more coyotes being attracted to the location. Without a doubt, the more the coyotes, it is easy to make your shots. The scent range will vary from one manufacturer to another. Some would have the best ranges while others would only go for a few minutes. In the latter case, you would have to keep on spraying more urine to get the scent going far. The quality matters a lot, as you would be spending a lot of money on buying the decoys and baits. For the decoys, learn more about their applicability in the extreme weather conditions. Any great decoy would always end up serving you more even if you are a person who has multiple hunting trips in a year. The same thing goes for the baits; you have to think about the quality of the product before buying it. The best quality will always deliver the right results. The user feedback is always crucial in determining if the decoy or bait will work. It is not always that you would end up with a product that delivers the right expectations. If you are lucky, most of the time you would end up with the right baits and scents. You will no longer have to rely much on luck when you can have the right product by learning from the reviews and user feedbacks to the company. You will now be in a position to know whether the decoy or bait would work great in your hunting conditions. 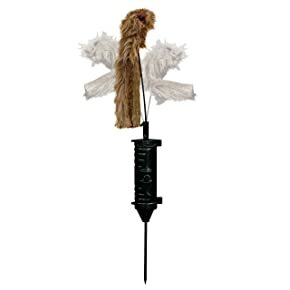 If you do a simple search online about coyote decoys and baits, it is easy for find thousands of products. Well, it would be a dilemma for you to pick the best decoy and best bait for your coyote-hunting mission. Below, you will learn about the top coyote decoys and baits you could use today. If you take one look at this model, it should be easy for you to see that it has a realistic look of a real coyote. That is something that you would need all the time when setting up a decoy for hunting the coyotes. The company had to use the skills of a renowned sculptor Charlie Norton, to ensure that the end product is something you would always love as a user. To help with the transportation, the manufacturer made it have a bungee leg system. What this system does is to allow for easy disassembling of the decoy so that you can end up with easy to carry pieces. Once you want to set up the decoy, it should be an easy and painless process. 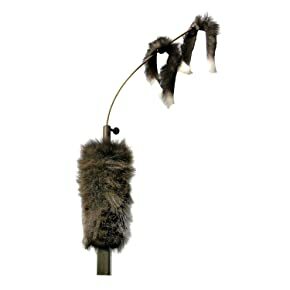 Another way of making the decoy look realistic, it is the use of a wire frame tail full of faux fur. The idea is that you end up with a tail that can easily pass as real. It moves in the wind so that the coyotes could think it is one of them. The model has everything you would desire to see in a coyote decoy. It is lightweight, simple, affordable, and portable. Features such as lightweight and portability make the model great when looking for a nice way of hunting coyotes. You would not mind moving around with the decoy, as it is easily portable. It is also easy to set up as compared to some of the other models. Some models might require setting up multiple things in complex steps, but not for this model. Setting it up is quite a breeze. The product is designed to be highly visible from far. What the coyote would be seeing is a tantalizing prey, and it will come running. Since it can capture the attention of coyotes from far, it is safe to say that it delivers the best decoy mechanism ever. The manufacturer also made it to have some cyclic action so that it looks and feels like a real prey. When it comes to hunting accessories, Primos as a company has gained favor and reputation from many people. Those who have used it can agree that it always delivers the right products you need for hunting. The same thing happens when you get to buy this model. It is designed to be able to handle any tough conditions that you might have to face while outdoors. These quality materials should help make the product last longer. It is not just about the materials; the decoy has to be realistic too. You would notice a realistic flaring crazed critter. When the coyote sees this, it would be easily attracted to it. You can play around with the speed to make it go faster or slower. The full fur on the decoy should easily be an eye-catching seen for the coyotes. The packable design should help the user easily pack it and use the model in different locations. The long stake needs a long hole for mounting. It is not easy with loose soil. If you own a coyote calling set, you will need this product to complete such a set. The best part is that you do not have to spend a lot of money just to get the product. 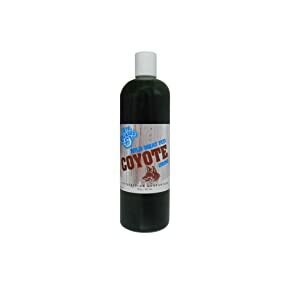 The product is made of high-quality scent that attracts the coyotes from far and makes sure that you end up with the best hunt of your life. The manufacturer also made it to have a long range, meaning that you would not be spending your money on a useless product. The coyotes could easily smell the scent from far and come running. What the scent does is to appeal to the coyotes and make them curious about where it is coming from. The coyotes being territorial, they would always try to follow the scent and that is when you get them. With the 8 fluid ounce squirt bottle, it should be easy for you to apply the scent. If you check out the manufacturer’s webpage, it is easy to note just how many animal scents and urines that are being sold. The work of the urine mostly is to trap and still repel the rodents. In this case, we would want urine that can help attract and trap the coyotes. 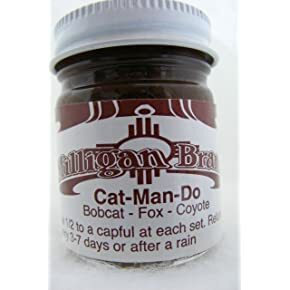 By using a bottle of this product, you should be able to easily hunt the coyotes. Well, urine has never smelled good to the liking of many hunters, but if you think about the benefits of getting one, then it is possible not to mind so much. With many hunters all over the world trying out this product, the feedback is always massive and appealing. You would be sure buying this product that it will work from such positive reviews. If you have used other types of coyote baits and they did not work, maybe it is the time that you tried something new such as this one. The weather often affects how the scent would travel in the atmosphere. With the cold weather, you can always expect that things would be slow and you have to use more scent. Well, things change when using this model during a cold weather season. It will still be able to lure the coyotes to your location. The scent also works for other animals such as bobcats and foxes. The end product is a mixture of different ingredients that would always make your hunting better in all aspects. You should be able to find it as a great model that delivers on your needs for having an easy way of baiting the coyotes. When do they work most effectively? The decoys and baits for coyotes would often have a time and perfect conditions that would make them work effectively. The important thing is to make sure that you follow the manufacturer’s instructions when using the products. You would find that some would be great in windy conditions while others might not be so good. It is the same for scents, some might work great in the cold weather, while others might be useless. Once you understand the different requirements from the manufacturer, you can always know when it is working most effectively. The idea of successful coyote hunting should now be buzzing around your head. With the different coyote decoys and baits mentioned above, it should be easy for you to make a decision right now. I hope you have enjoyed learning more about the best coyote decoys and best coyote baits in a way that helps you become a better hunter. You could always share any questions or comments below.